Ran out of idea (and cash) for a good Valentine's Day present, so D.I.Y stuff would be the best option to show our sincerity. This year, decided to bake (again!) for our Valentine at Peiyue's house. lol. Decided last minute what to bake after some quick browse through of cake recipe at bookstore. Muffin is our first choice, and biscuit is our back-up plan. Thank god we made it for the muffin. Haha. So here are just some photos of the progress, nothing much. Spend two days to get all these done. From deciding what type of muffin to do, to buying the ingredients already costs us a day's time. 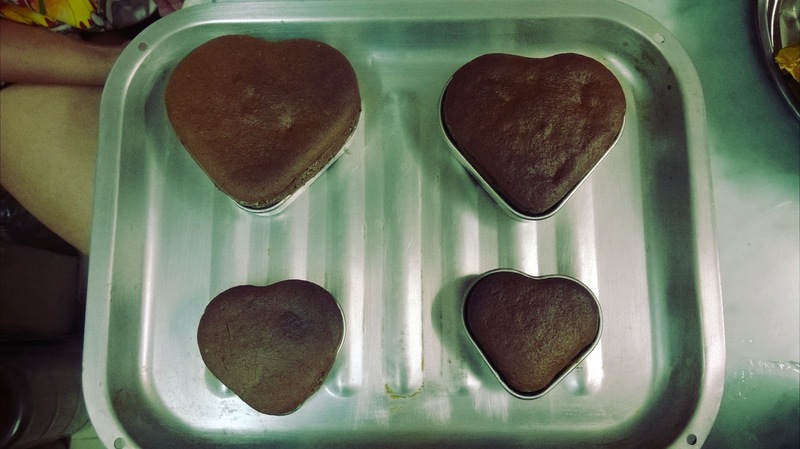 So in total we spent two days for these heart shape chocolate muffin just for the sake of Valentine's Day. lol. 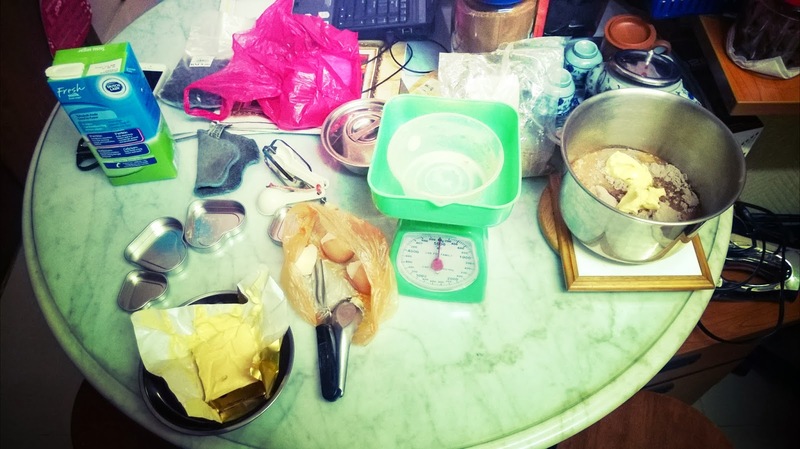 It's already been yearssss since I last bake, can't believe I still able to find the urge to bake. Maybe I do like baking from the bottom of my heart. Well, which girl doesn't like baking for the one she love, right? 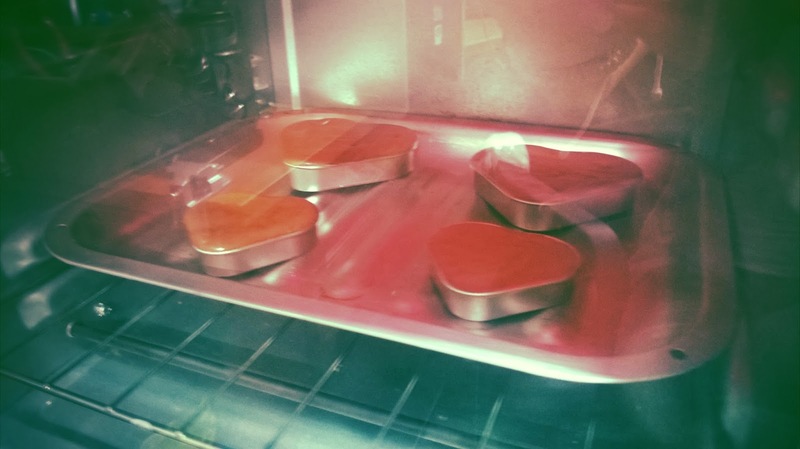 So yeah, we baked numerous of times because we only have four heart shape moulds. Can you imagine, four moulds and we baked 32 muffins? 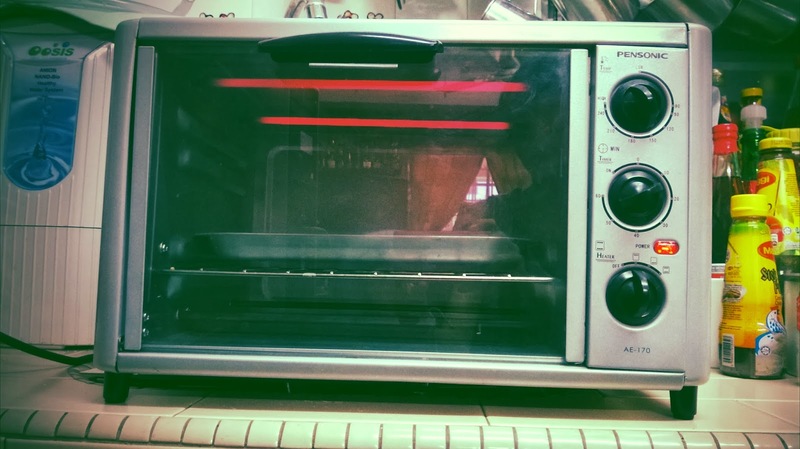 Each time baked for about 20 minutes. So yea, you do the maths and able to tell how many time we've spend on baking these lovelies. I seriously salute those who bake cupcakes for living. Baking is one thing, and decorating is another thing! I wonder how you guys manage to come out different sort of decoration idea using the same concept. I think until my head wanna burst already! Lol. But nonetheless, feels ultimately contented when I see the box of muffin filled with all these heartshape muffins with different decorations. 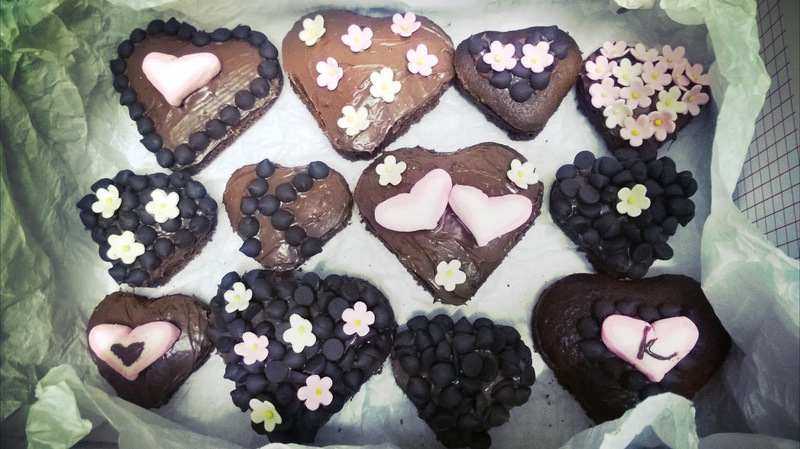 Chocolate chips, Nutella, marshmallows and edible flowers for the decorating purpose. Well, not too childish isn't? It was such a good baking experience, and he ate all these 12 muffins! Haha well thank you very much for your support! I shall bake something else next year. lol. White Valentine's Day a.k.a White Day is coming, have you thought of what to buy for the girl you love?